In this post we aim to help skippers comply with the new catch recording arrangements, explain why they are being introduced and outline the benefits of the new system. Fishermen and the industry are gearing up for a period of major change during the coming year. EU Exit, the imminent discards ban and new digital services from the Marine Management Organisation (MMO) are among the top priorities for the industry. As Head of Compliance and Control Michael Coyle is keen to explain the new catch-recording arrangements, which will apply to the inshore fleet. Is recording catches going to be compulsory for the under-10m fleet? The MMO is consulting on the introduction of catch recording for the under-10m fleet. Our aim is to support the viability of the fishing businesses by making fishing sustainable long term. To do that, we need to better understand the full impact of fishing on stocks. Introducing a requirement for under-10m vessels (the majority of our fishing fleet) to record their catch, both quota and non-quota, would give us a much clearer picture of how much fish we are taking from our seas. It would also enable us to act more fairly and efficiently to conserve stocks at levels that support sustainable fisheries in the future. 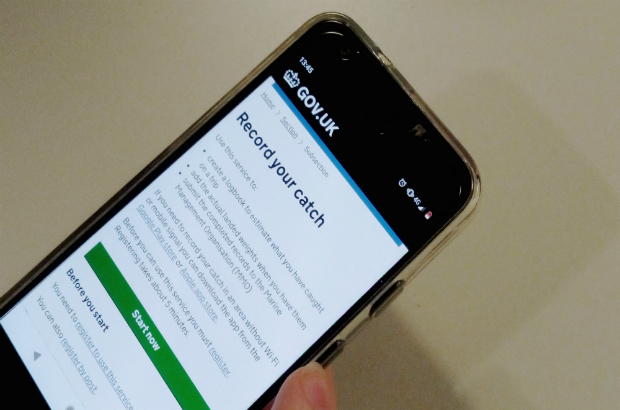 With the help of individual fishermen at ports across the UK, we have developed an app that can be used on a smartphone, tablet or computer to record their catches. We have been testing the prototype with users and we will continue to do so as we develop the service. The app is designed to be quick and easy to use as we want to minimise additional work for fishermen to comply with licence conditions. The indications are that it takes just 90 seconds to record a single species catch via the new app. When will this become compulsory and how will we get a say in this? We are about to start consulting the under-10m fleet, so we can better understand how catch-recording will affect them. This is with a view to launching catch-recording for the under-10s in 2019. Don’t you realise that small fishing businesses already have enough to do without introducing even more reporting? We understand how hard fishermen and people in the industry work. Our aim is not to introduce more reporting for its own sake, but to support our plan to develop a sustainable fishing industry for the future. What are the benefits of the new arrangements? The new recording arrangements will reduce the paper burden on fishermen. The existing process will be replaced and there will be just one recording requirement, which can be done very quickly via a smartphone. Prove that the UK is taking appropriate steps to fish more sustainably, which is key to positive marketing for commercial fishing. Details will also be available from your local MMO office as well as the offices of Inshore Fisheries and Conservation Authorities (IFCA).